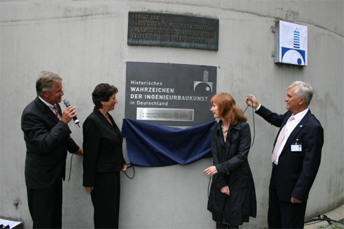 On 11th July 2009 the Stuttgart Television Tower was awarded the title "Historic Landmark of German Engineering", presented by the Bundesingenieurkammer (Federal Chamber of Civil Engineers) to mark the occasion of Fritz Leonhardt Day. When the South German Broadcasting Company began to plan a new television tower for Stuttgart and its densely populated surrounding region back in 1953, people were probably unaware that it would revolutionise tower construction all over the world. 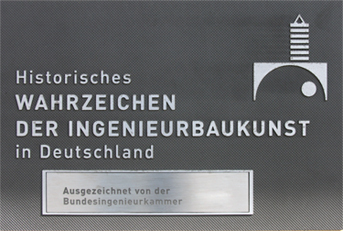 With this award the Bundesingenieurkammer paid tribute to the Tower's brilliant designer, who had succeeded in making the 15-metre-wide tower pod seem weightless and floating. This creative achievement is rather the exception in such construction projects. It was one of the reasons why the Stuttgart Television Tower became not only an unparalleled landmark for the Swabian metropolis but also an international milestone of civil engineering. The Stuttgart Television Tower, which came into operation in 1956, is timeless in its design and independent of any architectural trends. Its method of construction became the prototype for a whole generation of television towers which shape our cityscapes today. The landmark of Baden-WŸrttemberg's capital was the youngest civil engineering structure to date to receive this title, 53 years after its construction. In 1997 Fritz Leonhardt was represented with the Stuttgart Television Tower at the international exhibition "Les Ingénieurs du Sicle" (Engineers of the Century) at the Centre Georges Pompidou in Paris. 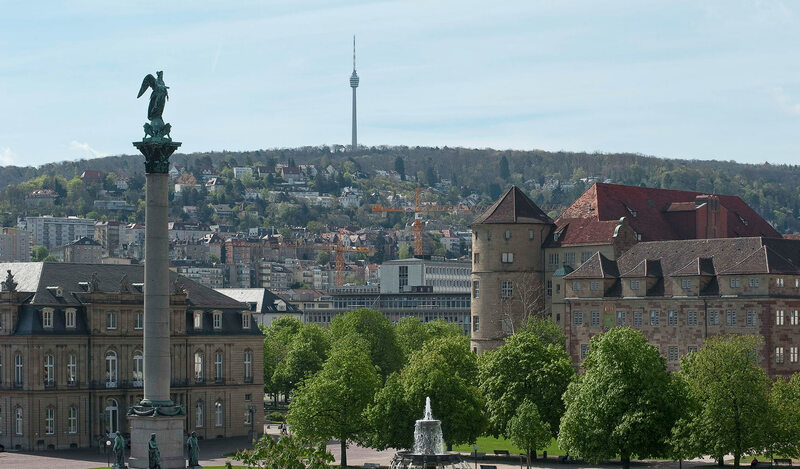 Since 1986 the Tower has been listed in the City of Stuttgart's Book of Monuments as "a characteristic example of post-war architecture." The city of Stuttgart first conferred the Paul Bonatz Architecture Award on 19th November 1959. In the category "Civil Engineering" the prize went to the Television Tower.